Fluorides have been used for decades in toothpaste to prevent tooth decay. Fluorides help to remineralize the enamel. When an acidic environment develops in the oral cavity, minerals are removed from the tooth enamel. Once minerals are released the tooth gets porous. Bacteria can colonize and cause tooth decay. Fluorides enhance the remineralization and help the crystalline substance of the enamel to be more resistant to acid attacks. That’s the major benefit of fluorides. In the opinion of the American Dental Association the use of fluorides is an important measure to prevent tooth decay for children and adults. Fluorine is a basic chemical element, a gas that does not occur free in nature. Fluorides arise when Fluorine reacts with other elements. 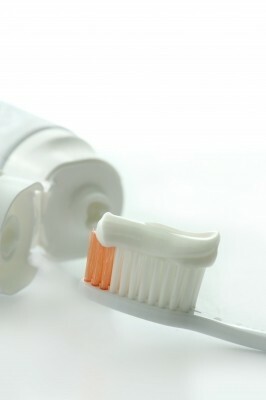 The most commonly used fluorides in toothpaste are no foreign substances to the human body. They are a natural component of teeth and bones. In particular for caries prophylaxis sodium fluoride, potassium fluoride and amine fluorides are used. Especially when children take too much fluoride, it can lead to side effects. There is debate and conflicting information on how much fluoride children should be given. For instance the American Association of Pediatrics recommends to brush children’s teeth with fluoridated toothpaste from the eruption of the first teeth onward, that is from the age of approx. 6 months. Whereas the American Dental Association recommends not to use fluoridated toothpaste before the age of TWO. Do not use fluoride toothpaste until the child is two years old unless advised to do so by a dentist or other health professional. Fluoride is a health risk especially for children when swallowed. In the U.S. every tube with fluoridated toothpaste must have a poison warning. Risks from ingesting fluoride toothpaste include not only permanent dental fluorosis but also impairment in glucose metabolism, stomach ailments or skin rashes. Especially it is disturbing to see that child-appealing flavors are used for toothpaste for kids knowing that especially young children have poorly developed swallowing reflexes and swallow large parts of the toothpaste they put on the brush. Do we need Fluoride at all? Even if there is evidence that fluorides aid the remineralization of teeth and prevent tooth decay more and more experts question the benefit of fluoride. Their take is: Do we want to mitigate the risk of tooth decay by putting a toxid substance into our body, where we actually can’t control the dose. According to the critics the line between a beneficial and a toxic fluoride dose is very fine. Especially an overdosing for children should be avoided. Since we do not know exactly how much fluoride a child actually takes through the food and the environment, this is hard to control. Opponents also raise the facts of the side effects of fluorides, that are little-discussed in public media. Especially for adults more and more dentists claim that a balanced diet and good oral hygiene can also prevent tooth decay. According to them adults with healthy teeth don’t need extra fluoride at all. The fluoride provides in our food and mineral water is sufficient. Which brands offer toothpaste without Fluoride? toothpastes for sensitive teeth, toothpaste without mint, without SLS, for babies or kids, whitening toothpaste, or even fluoride free mouthwash without alcohol. Most of the products can be bought on Amazon. Especially the all-natural cosmetics brands provide toothpastes without fluoride, such as Tom’s of Maine, Logona or Nature’s Gate. They mainly rely on natural minerals and plant extracts in their compositions.